Conferences and meetings are the backbone of the working world, whether you are part of a large corporation or a small niche player. Despite working independently, we still need to meet up, brainstorm ideas, make things happen, and, as useful as technology is, face-to-face get-togethers tend to be much more productive. Choosing the right venue is crucial. Innovation, creativity, inspiration and convenience are the watchwords. After all you need to motivate colleagues and clients to attend and then make them glad they did! 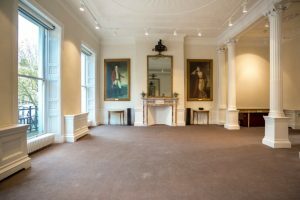 Within our Grade II listed Georgian townhouse here at 41 Portland Place we have everything you need to plan and execute impressive meetings and can accommodate between six and 85 guests. Meeting rooms vary from expansive traditional Georgian spaces, such as the John Newsom-Davis Suite, full of light, high ceilings and marble fireplaces, to our Wolfson Conference Suite, a modern soundproof room which leads into a bright, pristine exhibition space. For the best of both worlds choose the Laurie Landeau and Fellow’s Library, offering Georgian architecture with a modern twist. And we don’t just offer meeting room hire; we can accommodate whole venue exclusive events, which really give you the flexibility to spread your wings. Our Day Delegate Package is the best place to start, crafted to include everything you will want and need for a successful event. 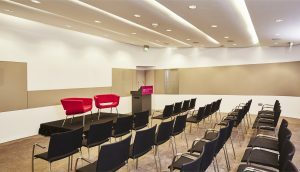 Designed to make your meeting affordable and convenient, our packages include room hire, catering, refreshments and our modern AV facilities. 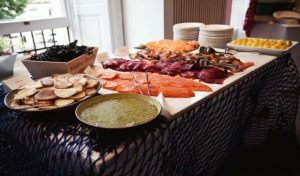 We can offer a variety of packages: full day, half day or breakfast and why not try our Healthy Conferencing Package which will keep your guests alert and ready for action all day long! However, packages aren’t the only option; our events team is always willing to create a bespoke proposal centred on your specific needs and ideas. 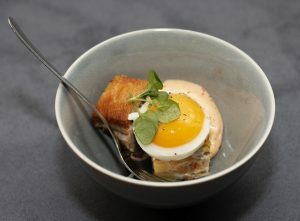 Head Chef Irmantas can also design menus just for you, so if you want to add themed canapés, or bring lunch to life with an interactive food stall, at 41 Portland Place we are ready, willing and more than able to meet the challenge. 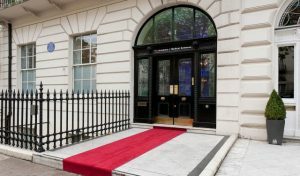 41 Portland Place sits between Oxford Circus and Regent’s Park, easily accessible from the City, West End and out of London. 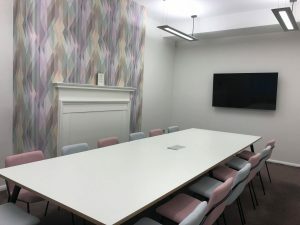 Our staff are trained in-house to cater for all types of events and each room is equipped with modern AV which can be further enhanced on request. We are happy to source whatever extra equipment you may need and our events team will help and guide you from start to finish for a stress-free experience.